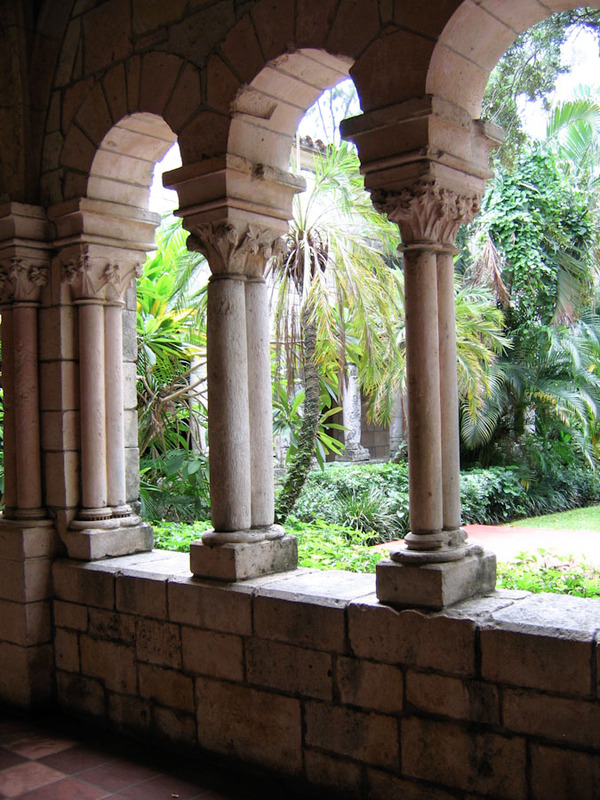 Description: Columns and arches along a cloister in the Ancient Spanish Monastery. The typical day of the Cistercian monks who lived in the monastery included prayer, sleep, spiritual reading, and manual labor. TIFF File: A high resolution TIFF of Cloister (28.9 Mb) is available for download. This is a very large file suitable for printing. For most on-screen purposes, you should use the image displayed on this page instead of this TIFF.